Wonderful khaki storage box. This features studded metal work, a leather handle and a navy velour interior to the lid. 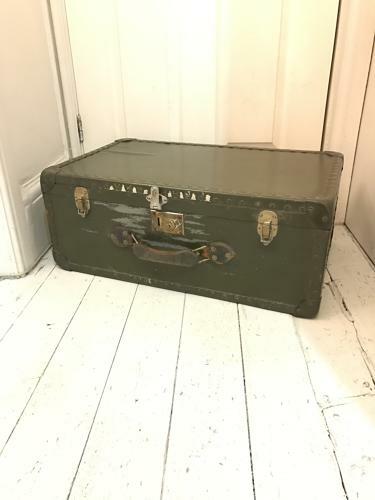 A quirky storage case, perfect for any vintage or contemporary inspired home.